I am a medical coder with 4 years of medical coding experience and specialization in anesthesia and pain management coding and cardiovascular and thoracic surgery coding. I am a twenty-years' experienced medical researcher with medical training. HIPAA training, fraud and waste abuse training, code of conduct training, Optum Gemstone medical coding training. Prepared and presented a video-presented CANPC Anesthesia and pain management coding roundtable webinar for TXHIMA. Produced Major Healthcare Processes Powerpoint slide. Performed medical coding including CPT, HCPCS II, and ICD-10-CM on 30 charts for E&M Round 1. Produced Six sigma block chart slide. Ship riding in over fifty ships in the Scandanavian seas. Developed method for lens ascorbate measurement utilizing homogenization in metaphosphoric acid, ultrafiltration, and HPLC with ultraviolet detection. Presented at ARVO, EVER, ISIR, and regional Swedish conferences. Served as editor on three scientific journals. Featured in Who's Who in Medicine and Healthcare 2006-2007 as Chunilal Mody, M.D. Proctored NBEO exam at a European site. Clinical rounds, admitting patients, performing physical exam/history taking on patients, performing procedures on patients including blood draw and arterial blood gas, following up on laboratory results and test results, interacting with resident-in-charge and attendings, working in I.C.U./C.C.U., attending grand rounds, meeting faculty/program directors and chiefs. On COBRA. Performed medical research on IL-4 induction of arginase activity in mouse peritoneal macrophages as a surgical wound healing model. Performed inpatient rounds at Yale-New Haven Hospital and West Haven VA Medical Center. On leave of absence. Studied ligand-binding properties of human interphotoreceptor retinoid binding protein, a protein involved in the visual cycle in the eye. Studied biochemical properties of the mitochondrial megachannel, a protein involved in cardiac reperfusion injury. Performed cellulose filtration utilizing bovine heart mitochondria. Developed filter paper test kits for A.I.D.S. India HIV-2 samples. Experimented with artificial protein samples and developed filter paper A.I.D.S. test kits based on ELISA antibody color-and-intensity coded assays. Sold baseball cards ranging from years 1975-1991. 400 Hitter was advertised in baseball card magazines. Negotiated selling of baseball cards from our private collection and inventory. Hired in inventory control. Worked on analysis of HIV DNA counts in patient and control samples utilizing Genprobe molecular diagnostic product analysis. Perfomed batch results. PCR training. Worked in biomedical engineering production line and quality assurance specialist, producing electronic pills for measuring pH of the stomach. The electronic pills are useful for gastroenterologist doctors. Strung rackets on purchased assembled machine from home. Successfully strung tennis rackets for the community. Bought two large colis of TOA Gold string for a string supply. In CPC Practice Exam 2018-2019 training. Scored 80% on questions 1-20. Practicode Practicum modules 1, 2 and 3 covering all aspects of outpatient coding in ICD-10-CM, CPT, and HCPCS II for 600 actual medical records from hospitals for one year of work experience. Enrolled in Virtual CCS-P Prep, webinars in ICD-10-CM and procedural coding. Covers medical coding, conditions, and guidelines for 10 CEU. Live seminar on 6/20/2018. 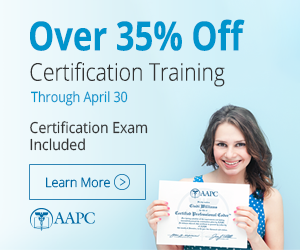 completing Certified coding specialist-Physician-based (CCS-P) exam preparation. Currently studying Texas medical jurisprudence exam study guide 2016 from Texas Medical Association. CTR-like course in cancer disease, Coding, and Staging valued at 15.00 CEUs. Earned 65% on final exam. Earned certificate in hand surgery and hand surgery coding. Passed CEDC study guide exam with 74.2% score (35 questions). Completed Professional Coding Practice course covering ICD-10-CM, ICD-10-PCS, CPT, HCPCS II. Earned certificate in Professional Coding Practice with a 91.42% overall score for the course. Educational hours from completing AAPC modules. Completed an intensive ICD-10-CM training course covering all aspects of ICD-10-CM. Earned certificate in Basic ICD Coding, Part 1 for 45.000 CEUs with a 92% score for the course and passed final exam (92% score). Completed course in CPT for cardiology. Passed exam with 90% A score and earned certificate. Completed course in ICD-10-CM specialty hematology and oncology coding. Earned certificate in ICD-10-CM hematology and oncology code set training for 4.00 CEUs. Passed intensive 50 modules course in ICD-10-CM coding requiring passing of all quizzes, exams, and final exam, which was also a certification exam. Passed course with a 86% score for 10.00 CEUs and earned ICD-10-CM Coding Professional certificate. Earned certificate in spinal fusion and spinal fusion coding Coffee and coding replay webinar. Medical coding of cases in ICD-10-CM and HCPCS from journals and key word terms. Completed ICD-10-CM Instructional manual for advanced ICD-10-CM general code set training. Completed ICD-10-CM specialty course in cardiology coding. Earned certificate in ICD-10-CM specialty cardiology code set training for 8.00 CEUs. Performed ICD-10-CM, CPT, HCPCS II coding for 1.00 years of medical coding experience on 600 actual medical records as a practicum. The certificate earned is called Practicode Professional Fee (ICD-9-CM) combined with CPC-A Practicum with CEUs badge. Earned MOOC certificate of attendance in Health Data Analytics for 10.00 AHIMA CEUs..
Earned certificate with 91% A average. Earned certificate of achievement in ICD-10-CM. Performed medical coding on 200 actual outpatient charts for 4 months of outpatient medical coding experience. Completed assessment and passed exam (score=78%). Earned certificate of completion for ICD-10-CM/PCS post-training assessment. Completed CCS-P Study Guide in ICD-9-CM, CPT, HCPCS II for preparation for CCS-P exam. Completed ICD-10-PCS code set training covering all surgical procedures, procedures, and medical introductions in ICD-10-PCS. Earned certificate of ICD-10-PCS proficiency. Completed sales profile questionnaire which found my primary sales style to be a performer and secondary sales style to be a diplomat. Performed medical coding in ICD-9-CM, CPT, and HCPCS II on 600 actual medical records as a practicum for 1.000 years of medical coding experience and 16 CEUs. Earned CPC-A Practicum with CEUs badge and certificate. Trained in Master trainer certification (MTC) course covering several topics including adductor magnus, aerobic threshold, and cardio endurance. Took MTC exam. Earned certificate of ICD-10-CM proficiency. Covered the medical coding topics in ICD-10-CM musculoskeletal, integumentary, respiratory, cardiovascular, digestive, genitourinary, endocrine, mental disorders, eye and adnexa, nervous, pregnancy. Participated in courses for Licentiate degree and Ph.D. degree in medical ophthalmology research for LADOK. Attended morning report, grand rounds, and pharmaceutical-sponsored lectures on medicine topics. Tennis training from USTA. Took tennis lessons at Wichita Racquet Club from 1981-1985 and Norcross Racquet Club from 1985-1989. Played in USTA team tennis leagues from 1993-1997 In the Atlanta, GA area.